The Museo dello scarpone e della calzatura sportiva (museum of boots and sport footwear) recounts the history and heritage of the Sportsystem, one of the most important European Industrial Districts. Its roots lie at the beginning of the XIX Century when Montebelluna's shoe making craftmenship quickly evolved in an industrial institution known worldwide. Weekends and August: bookings only. Housed in prestigious Villa Zuccareda Binetti, one of the most beautiful villas in the Montebelluna area, the museum holds several collections linked to the Sportsystem Industrial District. Through documents and international patents, degree researches and companies catalogues, technical equipment linked to the production and historical tools, boots and sport footwear, the District craftsmanship heritage is handed down to future generations. The museum tells a collective story of talent, audacity and entrepreneurship proved by the very presence in the area of some of the most important international brands of sports footwear. Nowadays, this unique museum is developing to become a vibrant place that, through innovative projects and cooperations with private and public partners alike, can enhance the industrial development and the promotion of the whole area. The District currently has 210.000 inhabitants, 1.000 factories, 120 brands and over 14.000 staff. Main partner of the Trust is the Associazione dello Sportsystem e Imprenditoria del Montebellunese e Asolano (Charitable Association of the Sportsystem and of the Montebelluna and Asolo entrepreneurs), which has its premises at Villa Zuccareda Binetti. Established by a group of entrepreneur of the Sportsystem and led by the town councillor and local history studious, prof. Aldo Durante. The same pioniring group of entrepreneurs establish a charitable association to run the museum. 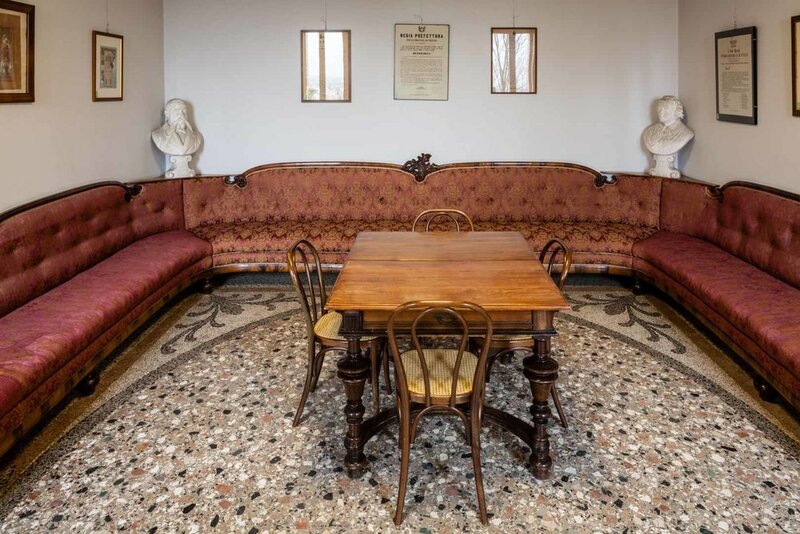 The Charitable Association established “Fondazione Museo dello Scarpone e della Calzatura Sportiva" a chatible trust with the aim of restoring Villa Zuccareda-Binetti. 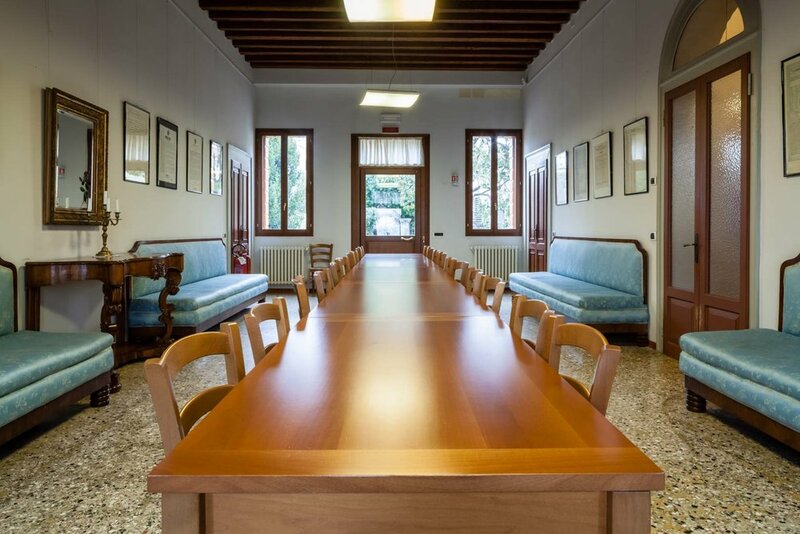 On the 3th June an agreement was signed between the Charitable Trust and Montebelluna Town Council for the use of Villa Zuccareda Binetti. For 35 years the museum's collections and display can be housed for free in the XVIII Century villa. The Trust on the other hand has to fully restore the villa and its annexes. The main part of the villa is completely restored and the museum reponed to the public. The Trust and the council run Museum of Archaeology sign an agreement to join forces in the overall conservation and developement of the cultural heritage profile of the Sportsystem District. The closest reilway station is Montebelluna. From there you can reach us in 15 minutes walking along XXIV Maggio e viale D'Amore. via A. Serena, Viale della Vittoria or Via Matteotti. From the major nearby towns follow signs for Montebelluna. Once in Montebelluna follow signs for Museo dello scarpone.